I for one would be absolutely useless - I'd have to refer questioners to written records made closer to the event. Gauci did the same at one point. That's the point. Refer back to my original comment / proposition. Could anyone do any better than Gauci did in describing what happened on the date of purchase? Doubt it. Even Pr. Black, the "architect" of the trial bumbles on specifics and makes up lies about what happened on the date of purchase at Mary's House. CL, I see that you "dissed" me on the fact that my time is limited. It's a fact. So much so that I don't have time to find your post and quote it here. I do have a life beyond commenting on JREF. I don't have the time right now to go into details, so deal with it. I'll post details when I'm able. Last edited by Bunntamas; 17th November 2010 at 09:00 PM. And Bunntamas is under time pressures, so anyone else can hop in. What I really meant was basically what I said, that there's no reason any other skeptics here couldn't catch up a bit and chip in. I suppose mentioning time does indicate an underlying impatience, as in "can't someone try to engage these details soon?" But it's not really an issue of speed, so much as interest. I just don't get why more people don't take in interest in this highly relevant issue. Despite their full belief in the verdict, many seem simply unwilling to discuss why and give you any backup here. It's annoying, but that's other people. You at least care, and deeply at that. So to all, no pressure. I'll check back later. That's the point. Refer back to my original comment / proposition. Could anyone do any better than Gauci did in describing what happened on the date of purchase? Doubt it. Well, how do we know? We can only tell if he was accurate insofar as we have independent corroboration of what happened. The reason I believe he was probably accurate in his original description of the purchaser is that his memory of the items purchased appeared to be good, as confirmed by its close correlation with the items identified as blast-damaged and so believed to be inside the primary suitcase. On that aspect, he performed with 100% specificity and 70% sensitivity. This is impressive, nine months down the line - unless he was prompted, but we have no evidence of that. Therefore, it seems reasonable to believe that his memory of the purchaser was similarly reliable, and if we're taking that further, it would suggest that while he might not have remembered everything, what he did remember was probably fairly close. Here's how he described the purchaser, again. This is simply not a description of Abdelbaset al-Megrahi, who is 5 feet 8 inches tall, of average build and was 36 years old at the time. I'd like to note that Professor Black did not make up any lies, he merely overstated the degree of rainfall, arguably. I'm not sure if 0.6 mm in an hour span could fall so as to seem "considerably and heavily." I myself noticed the possible error, perhaps the only one he spoke, but decided it wasn't worth mentioning. But as you decided to go off on a side-track with it, I do hope you see the flipside of this argument. If the 0.6 mm at the right time on 23rd is not heavy rainfall, to the extent that saying such constitutes a lie, then where does that leave 7 December in relation to Tony's earliest recall? ETA: So I suggest we should just drop that whole side-track and stick to the no-rush re-explanation of Tony Gauci's evidence and how it implicates Megrahi. One simple question, Bunntamas. Do you agree with the idea that a witness' earliest accounts, closest to the event in time, are usually more accurate than later ones? Because that's what I tend to think, and I think Rolfe and most others do. One little point of agreement on something like that might be a useful thing here. Sorry so many thoughts, all piling on you here. That's all for me for the moment. Last edited by Caustic Logic; 18th November 2010 at 04:44 AM. Rather than descend into the gutter with the disgusting mud slinging by some, I'd simply like to point out that at least when errors, or blatant lies as some would like to coach it, are made, it says much about the person when they are at least able to admit to and correct any of these errors or inaccuracies to set the record straight. Those who do not, and blithely choose to think they can continue, notwithstanding any previous claims made, subsequently shown to be utterly without foundation, have zero credibility, and as they say in Scotland, exhibit a 'pure brass-neck'. As far as the Tony and Paul show is concerned, the evidence from these two, and most specifically Tony since his brother didn't testify at Zeist, was utterly destroyed if not by their own inconsistencies and shift from relative clarity at first, to vague and opaque details in order to fit the parameters of the investigation, and as we subsequently learned from the SCCRC's investigation, more importantly, to fall within the remits of the rewards offered by the Scottish and US investigators. Tony Gauci's evidence and even any possible tenuous assertion made on Megrahi's identification is (too) without credibility and wholly unreliable. However, to examine his statements made, before any financial inducements were made, and before the intolerable pressures the years of questioning had taken its toll, he does not describe a buyer who either fits the age, size or characteristics of Megrahi in 1988. One point which remained consistent was that Tony's brother Paul was not in the shop when the purchase was made as he was away watching football, and this indicated the sale could only have been on the 23rd November or the 7th December 1988 as these were the dates of the game in question. At these same stages of his questioning, Gauci goes further, and indeed gives a additional information about weather and Christmas decorations in the town, indicating the date of sale. Taking all these factors into account, it quite conclusively indicates the sale occurred on a day for which their is no evidence that Megrahi was on the island of Malta. Of course, as the months and years bore on, and rewards began to be a factor in his recollection of the sale, and Tony now "trying to please" the investigators, things got a little confusing for poor Tony. Well, how exactly can you help the investigators when pressing for an identification of someone that you're not describing and selling them the stuff on a date they weren't on the island? Little wonder logic and sense seemed to fly out the window, which culminated in the bemusement to many of the 'identification' at Zeist. If I just pointed out, again, anyway, that eyewitness recall is notoriously unreliable, even with the most important and obvious details, what would you say to that? For example, maybe his "apple short of a picnic" brain was wired in such a way that he focused on the clothes, almost obsessively, but only recalled people as vague shapes, almost. All the wrong details about size and build could arise from a feeling like "the clothes weren't for him, he's the bomber, he was too big for the clothes! Why didn't I see that?" I don't know, just throwing some ideas out there. It's at least hypothetically possible a 36-year-old 5'8" Libyan terrorist of middling build and fair complexion could seem later to have been his uncle, a 6'1 Barrel-chested dark Libyan thug-looking guy. See folks, it could be that easy for you, too! Oooh... can I just step up and say sorry, that was me? I take it all back and look forward only to fruitful and leisurely discussion of the relevant facts. Thank you. Let's not be easily side-tracked, even by factually relevant consideration (money rewards contingent on a conviction of Megrahi, etc.) which I for one am suspending consideration of for the time being. No need to do everything everywhere at all times. Just ... everybody... back up and calm down. Sheesh. Er, sorry. I not de boss. I see that picture of Megrahi I posted seems to have disappeared. That's what I get for hosting the thing on the forum, but I'll repost the stuff anyway. Here's a picture of Megrahi, from about five years after the clothes purchase. It seems to be a decent likeness. Unfortunately I don't know of one showing his general build from that time, but he's 5 feet 8 inches tall, and as we've noted, he was 36 years old at the time of the purchase (41 in this picture I believe). He's never been described as well built, burly, hefty or any of the other terms used in connection with Tony's statement. He does not appear to have a particularly large head or chest. He's not even noticeably dark-skinned. He is, however, rather generic. He has no particularly distinguishing features, not even Fhimah's moustache. Once you have Arab, clean-shaven, and the hair style, the description could fit about a squillion other people. And similarly, the description of about a squillion other people could fit him, especially if you take no notice of most of the distinguishing features in the description (such as height and age and build). Last edited by LashL; 18th November 2010 at 03:17 PM. Reason: Trying to correct image as requested; had to turn it into a link. It's quite astonishing the brazen attitude that people like the VPA103 president, it's members and supporters can, without hesitation, brand people who raise reasoned questions and look for debate around the conviction of Megrahi as "deniers" or "cranks". Of course, Mr Marquise and Henderson can find solace in language too, as they look to continually throw into the public domain "facts" that simply are not supported in any shape or form. Even making such accusations at British victim's relatives. I have never read or heard the same arrogant dismissal and deplorable language used by the UK victims representatives when referring to the any of the other victims families. Then, while quite casually ignoring any utterly spurious 'facts' that they have claimed exist, but certainly don't, those who do not want to question Megrahi's conviction will leap upon the slightest meaningless inaccuracies that may be uttered by those they've chosen to already bracket as 'cranks' and 'deniers'. It is of course, the last refuge of those who have lost the argument. Prof Black, who will engage in any reasoned and civil discussion that may be raised on his blog, by anyone, never resorting to cheap insults, makes a minor error in recalling Megrahi's exact age when supposedly purchasing the clothes from Gauci (which by making him older actually leant itself to those that believe Megrahi was the buyer) is simply labelled a "liar". He makes a somewhat exaggerated reference to the fact that it was actually raining on the 23rd, as oppose to no trace on the 7th December, and this, again minor point given the context of the proposition of whether it was raining or not, is pounced upon as though some great revelation of a hidden agenda and some kind of failing in everyone's argument who believes the evidence indicates that in fact Megrahi was not the purchaser. And the difference here is precisely this: while Prof. Black will, without hesitation, correct any inaccurate, no matter how irrelevant or minor, statement or argument made, this is most definitely not reciprocated by those who like to assert that Gauci did make an positive identification matching Megrahi, or that the evidence is abundant showing the bag was introduced at Luqa, and that the conviction should not be questioned. Sadly for this particular conspiratorial group of plotters, the evidence as presented at Zeist itself simply does not support this rational, and the SCCRC in it's judgement made in 2007 absolutely vindicated the position that there are some very serious questions around the conviction. And, quite specifically, with regards to the courts conclusions on the identification made by Gauci in respect of the purchaser of the clothing and on the date this was made. indicates that the purchase took place at a time when there was no evidence at trial that the applicant was in Malta. Commission believes may further undermine Mr Gauci’s identification of the applicant as the purchaser and the trial court’s finding as to the date of purchase. Another bunch of "cranks", "liars" and "deniers" no doubt, but with this all in mind, I'd like to see the argument for Gauci's positive identification and that his testimony should even be admitted to a court and relied upon as one of the core issues supporting the conviction of Megrahi. If not, I'd like a retraction of the "facts" previously asserted by those upholding the conviction as safe, and not simply wave it away, or nitpick at irrelevancies while wishing to move on to another area of the case. Last edited by Buncrana; 18th November 2010 at 10:40 AM. There's a little more to the matter of Prof. Black and the severity of the rain. Several weeks ago he wrote a short article about the Gauci identification problems, which I was asked to check and re-format as a pdf. I spotted the error in the over-stating of the amount of rain, and re-worded that paragraph accordingly. He had intended to state that the rain was heavy enough to prompt the customer to open an umbrella he had just bought. Which is exactly correct. I also wrote a note for Prof. Black to explain my alterations, with references to both Tony's assessment of the amount of rain (light rain or drizzle) and the very similar description from Joseph Mifsud of the weather conditions on 23rd November - light rain. I pointed out that in fact the error made no difference to the point being presented, as Tony's actual description and the meteorological records for the 23rd matched, while the meteorological records for 7th December didn't match. I noted, however, that it was important to try to be as accurate as possible in all statements in order to avoid needless criticism, and in particular to avoid any impression of stooping to the level of the likes of Frank Duggan, who constantly repeats assertions he knows to be untrue in order to advance his agenda. Prof. Black readily agreed with everything I'd said, and approved the amendments to his article. Unfortunately when speaking live to the parliamentarians, he reverted to the previously saved version, as it were. It happens. Prof. Black was not knowingly lying about the amount of rain, nor had he any reason to lie. The point he was making still stands. It was raining on 23rd November, just as Gauci described. Not heavy, but enough to make someone open an umbrella. It was not raining on 7th December, the only day Megrahi was on Malta and in a position to have visited Gauci's shop. 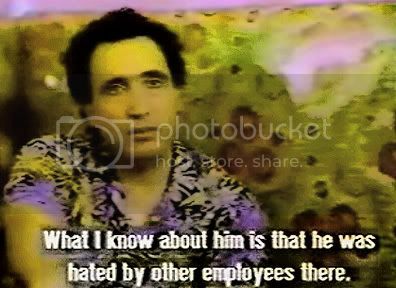 Nor was he knowingly lying about Megrahi's age in 1988. In fact his small error understated his case, taking the age a little closer to Tony's estimate of the purchaser's age (about 50 years, Tony thought). Megrahi was 36, not 38. What else did Prof. Black get wrong? He said "3rd December" when he meant "7th December". Pure slip of the tongue. 3rd December doesn't figure in the story at all. Now if anyone would like to discuss Frank Duggan's persistent mis-statements, despite corrections, on matters quite blatantly influencing his own agenda in the matter, I'm up for it, any time. ETA: Damn, I wasn't going to say all that. Because the question is the identity of the purchaser, not whether Prof Black mis-remembered a couple of minor details. Oh well I said it. Last edited by Rolfe; 18th November 2010 at 11:46 AM. Huh, from no pictures of Megrahi to three. I give up. I tried to make it smaller right at the start to display better, and this is what it does to me. And past the editing deadline too. From now on, I revert to hosting images on my own domain, thankyouverymuch. I just thought it was worth reminding ourselves what Megrahi really looked like, as opposed to bad passport photos and stuff. 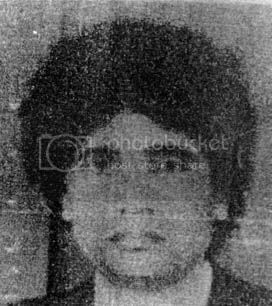 Remember, it was the actual man Tony was supposed to have seen in 1988, not Abdusamad's passport photo. I wanted to comment on Joe Mifsud's 10% estimate of a few drops. I think that was a rather high number, just pulled from thin air. With not even trace rain in the surrounding areas and times, I can't imagine more than about 2% chance of freak drops right there, at all. But he's the expert, onetime rough guesses aside. And it could be his estimate gave the judges more room to fudge than they should have been trusted with, and it perhaps influenced Pr. Black to think of it as quite likely dribbling, and thus to over-emphasize the amount of rain on the other day. Pushes the whole rain scale up a notch, when really it should be a scale from bone dry to light drizzle. But the purchaser bought an umbrella. It was in the bomb bag. Honestly, Rolfe, seeing that image, it strikes me Megrahi does have a large head, and I'm not really familir with his build. He's not skinny, anyway. The height is more of a stumper. To add four inches and have that your bottom measure (6 feet or more) is strange - height is a rather basic memory, a measure from the reptilian cortex about how easily this other could kill you, or something like that. As a direct perceptual error I can't see it. But in the murky world of witness psychology, as I pointed out above, there are possibilities. He could have been hypnotized for example into remembering the buyer as an eight foot chicken. That's a screencap of a freezeframe from The Maltese Double Cross. He's only ever shown head-and-a-bit-of-shoulder at most. I don't think you can say anything about the size of his head - there just isn't the context. I was mainly trying to show what a generic sort of face he has - "no distinguishing marks", as they say. And that the Abdusamad passport photo is a pretty poor likeness (which may have been deliberate?). Duggan wasn't the one bumbling in front of the Parliamentary committee. Your Duggan comments seem irrelevent to the current discussion. How 'bout we not derail this seemingly productive / collegial progress (so far, with the exception of Buncrana's borderline nasty comments above) and stick to the topic at hand, which (unless I'm mistaken, but I doubt it, per the title of this forum) is the purchase at Mary's House? Moving forward, and to add to your photo posting I'll put this out to you and others: In my trial booklet, I have photos and the artist's sketch drawn from Gauci's recollection of "the purchaser". Have you all seen those already? or would it be helpful if I were to post them? I only ask because I don't want to get jumped on or hand waived for posting stuff that folks have already seen (as has occurred in the past when I've posted such things). Last edited by Bunntamas; 18th November 2010 at 08:20 PM. Indeed, he does have a large head. And in the photospreads in the trial booklet he has a... how do I put this.. big head of hair / afro kinda thing going on. Which makes his head appear even larger. And if you look at the recent photos of him from when he was released, (yes, I recognize time has passed whilst he was eating his "preferential" diet in prison) he is rather portly. All right, well... the head issue is not scientifically established. But I'll give you that it might be consistent with Tony's account. His skin tone too, while not dark by North African standards, could still seem dark enough to a Maltese guy on a dar evening (no Christmas lights?). I'd rather myself call those inconclusive. The build issue ... I'm still not seeing a big barrel-chested man of six feet, but I'll call the trunk description another weaker point. The afro, I wish we could know just when that Czech photo used in the photo spread was taken, and if Megrahi wore his hair that way in December 1988. I can't call that a support otherwise. - had a "large head"
It's still the height and age estimate, the lack of Christmas lights/decorations, and the correlation between sub-trace (no) rainfall and umbrella-opening. Just as a reminder, those are my own sticking points. You haven't addressed them yet. Some other questions I'd like you to consider, whether or not you answer them. One is the one I asked above about eyewitness evidence - do you feel in general it gets better or worse with time? If Tony's 1989 and 2000 statements differ, which should we trust? Another: Do you actually trust the Maltese weather records? Is your way around all this via some backdoor of evidence dismissal you should tell us about before we waste any more time on an intellectual dead-end? Not to "accuse" anything, I have backdoors around evidence left and right. I'm just open about them and explain my reasoning why I think this was altered or that was planted. Just for reference, relevant images as external links. Have to post these myself. To me, those last two look drastically different in the lips, chin, eyes, eyebrows, and cheeks. He agreed both resembled the buyer quite a bit. It almost seems to say "if you can find a photo of anyone with this kind of mid-sized 'fro, he will say it looks like the man." Last edited by Caustic Logic; 19th November 2010 at 02:48 AM. I really don't think Megrahi's "big hair" is reflected in either of the artists impressions produced through Gauci's description of the buyer. 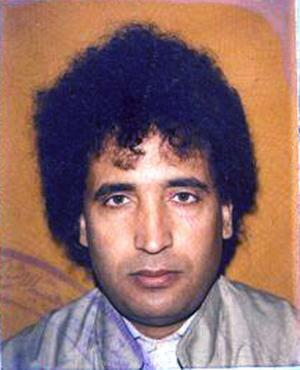 A generic afro hair style is hardly indicative of Megrahi, and most definitely the most striking thing is that Megrahi has nowhere near that amount of forehead visible as shown in the impressions produced. Any photo of Megrahi used around that time shows a low hairline, which is in sharp contrast to both of Gauci's impressions, which quite clearly represent someone who has a considerably higher hairline. The facial structure is completely different too. 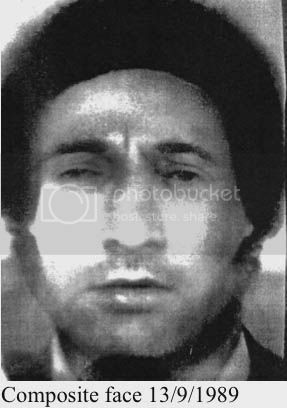 The photo fit and sketch shows a longer facial composition than any photos I've seen of Megrahi. If you were to also pop up photo's of Giaka, or Talb, there's just as many generic similarities, but on many crucial aspects, such as the age and height of the purchaser stated by Gauci, are not indicative of these two either. However, the critical aspect here is Megrahi, and the photo fits/sketches do not conclusively represent Megrahi, and the additional information provided by Gauci reinforces the argument that the buyer was not Megrahi. That's true. The only picture I've seen of Megrahi with that kind of hair, and it's a bit too much. Haircuts happen of course. And is it just me, or does he look young in that photo? Mid-20s? And the forehead - my experience has been that people tend to have a certain way with their hair - Megrahi's long hair is always at least partly down over his forehead, fairly symmetrical. The two buyer images have skin showing right up to the hairline. And the tightness of the curl is different too - Megrahi seems almost incapable of the tightly spherical sculpted look of the artist's sketch. Minor points however, compared to age, height, weather, and Christmas lights. I've looked around a little for the past explanations Bunntamas referred to, and haven't found anything that addresses these problems except by ignoring them. So I'll need either a good link or a re-explanation. I've obviously been getting my photos mixed up. The Abdusamad passport photo is recognisably him. I thought it was the Abdusamad photo they used for the 1991 photospread, but I'm clearly mistaken. It's the so-called Czech photo that confuses me. To me it doesn't look like Megrahi at all - it looks like somebody else altogether. I presume it must be him if they say so, but it's a terrible likeness. That photo (the one they used for the photospread, the one that doesn't really look like Megrahi at all) does look a bit like the photofit Tony produced. But it doesn't look like the artist's impression. 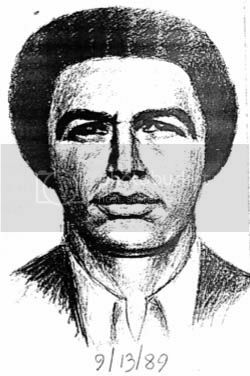 The artist's impression looks a bit like Abu Talb,and a bit like Mohamed Salam. We should also note that Tony himself said at the time that the artist's impression was more like his memory of the purchaser than the photofit. If you read through the various steps in Tony's identification, it becomes fairly clear that as far as the face goes, his memory didn't go much past Arab, clean-shaven and dark Afro-style hair. He picked out several photos with that general appearance and said they looked similar to the purchaser - Megrahi's was just one of these. Presumably if they'd gone on showing him pictures of more clean-shaven Arab men with Afro-style hair and nondescript features, he'd have gone on picking them out. In both the photospread and that farcical Zeist lineup, it's quite clear Megrahi was the person who looked most like Tony's description of the purchaser. Or maybe, what Tony had by that time come to believe the purchaser looked like. In particular, although Megrahi was way younger than Tony's impression of the purchaser, he was the oldest, or the oldest plausible pick, in each group of subjects. And each time, Tony said, that is the man who resembles the purchaser, or even, of this group, that is the man who is most like the purchaser. I don't see how any of that can be taken as an identification, any way you slice it. In 1991, Tony's immediate reaction to the photospread was that every single person was too young. He was then pretty much told, look, pick someone anyway. What he seems to me to have picked then was the Czech photo - which isn't recognisably Megrahi anyway! Just another face with the right hair and no beard or moustache. And yet again, all he said was, of that group, this is the person who looks most like the purchaser. And then he said, but Abu Talb looks more like the purchaser....! However, he'd picked the right photo, so the police ran with it. No more photospreads, no more opportunities to pick out any more clean-shaven Arabs as "resembling" the purchaser. Over the next eight years, Tony had every opportunity to learn what Megrahi really looked like. There were better and more recent pictures of him in numerous magazines and articles - all identifying him as the Lockerbie accused. Paul made sure Tony saw them all. By the time of Zeist, Tony (like just about anyone who had been following the case) could undoubtedly have picked Megrahi out of any lineup, as Megrahi. He picked Megrahi, a man who in 1999 looked pretty much nothing like the Czech photo he had picked in 1991. Of course he could have said, I no longer know what that man looked like, if I ever did. The police have shown me so many pictures over the years that any recollection I had of the man's face is now completely confused. But that wouldn't have got him a life of luxury in Australia, would it? As far as body size/shape goes, this is the best I can find. Most of Megrahi compared to a couple of Dutch cops. Probably 1999. I'm not seeing a big chest or a large head there I have to say. I'm not seeing a dark skin either, come to think of it. And he still doesn't look 50. Last edited by Rolfe; 19th November 2010 at 06:39 PM. As far as I'm concerned, the discrepancies between Megrahi's actual appearance and Tony's original description kill it, and the factors that rule out 7th December as the day of the purchase kill it, and the fact that Tony only ever said he thought Megrahi was the nearest in looks to the purchaser of the men in the lineup kills it. But the photo thing is quite interesting. This is recognisably the same person every time, despite the photographic problems. Now here's the picture Tony seems to have "identified" in 1991 as bearing some resemblance to the person he saw in 1988. Gimme a break here! Does anyone know why we're even accepting that last as an actual photo of Megrahi? Last edited by Rolfe; 19th November 2010 at 06:52 PM. Is that last photo not Megrahi? First to Bunntamas: If you're still on board, I for my part will happily keep Frank Duggan out of this, so long as you keep Robert Black out. Neither of them has anything to do with what Tony Gauci saw or said in later statements. I wish we could get a clear height on Tony Gauci himself. That would be a good clue. Something tells me Maltese are usually short by my standards, and Tony I'm guessing by build is no more than 5'8" himself. I actually have a screen cap I can refer to to help establish this - from Sent Home to Die. If we could figure out the measurements of that gate, that would about do it. No time for me to do that now. But he doesn't look tall at all to me. And as I said earlier, height assessment is, I think, a basic and reliable class of memory, so long as one had stood near the suspect. Like, across the counter, handing him items, taking his money. I have a hard time seeing Gauci looking just about straight across at an Arab of about average height, and recall having looked up at his "large head." That said, to hand you another point, if Tony was a bit shorter than the buyer, even one or two inches (seems possible), he could potentially fudge up the difference. It's not as impossible as if Gauci himself were looking down from six feet up to later think the other guy was taller. Still, the hight issue seems to me to be highly problematic. Do you acknowledge this at least seems like a serious problem, and that it makes sense people are asking questions about it? Or are we stupid or silly for picking out this 4" or more disparity between the buyer and the convict? If the latter, could you at some point help us be better informed by explaining what convinced you that Ton was in error on this important point? After all, as you said elsewhere, he did a pretty good job on his description of Megrahi, considering nearly a year had passed. Last edited by Caustic Logic; 20th November 2010 at 03:08 AM. We're to presume so. I'm going off memory that that's the photo Marquise once referred to as supplied by intel from the Czechoslovakia (as it then was, I think - 90/91 era...). That was used in the pivotal spread, where ... (snip critiques of procedure, I don't need to preach these things every possible chance). On the age issue, I had heard his was the oldest viable candidate, but to me this looks like a young Megrahi - maybe it's the stiff "prom night" effect, the unselfconscious hair, something in the face, hard to make out with the noise. The others must have all been teenagers, if my impression is right. I have the reports outlining this, but haven't really dug in for these details. Rolfe? I tried a little photoshop on this once, in fact, and found I didn't know how to reconcile the different photos. I decided the Czech one he might be a bit 'chin-up," shortening his face and nose, enlarging his upper lip... but I'm just not sure. It kind of looked like a different face. It's definitely a poor likeness of Megrahi, and that's another problem for the case. All we had on this prior to the crippling indictments was Tony pointing to a photo that seems to look very little like Megrahi, and said he was the closest fit he'd been handed. Megrahi can be made to be reported as looking most similar to the buyer out of a carefully arranged set. That's what I see here, and I'm not terribly impressed. Not when the best and most coherent timeline clues all but prove the purchase was on a day when all parties accept it couldn't possibly have been Megrahi. Last edited by Caustic Logic; 20th November 2010 at 01:58 AM. I told you to read the expert witness reports! Tony is said to be about 5 feet 3 inches tall, and 44 years old at the time of the clothes purchase. Megrahi is 5 inches taller than Tony, but the mystery shopper was estimated to be 9 inches taller. For someone used to sizing people up for the fit of clothes, that is quite a discrepancy. As are the discrepancies in body shape of course. Megrahi is eight years younger than Tony (and actually quite youthful-looking for his age at that time), but Tony estimated the purchaser to be about six years older than himself. I presume the Czech photo must be Megrahi or the defence would have objected. I guess we all have photos that don't exactly "do us justice". (This one didn't get Megrahi justice, anyway!) I know there was some discussion in court as to how long ago it was taken but I haven't read it all. So far as I know, nobody mentioned what a very poor likeness it is. Partly it's the diabolical quality. Losing detail like that has an effect of losing age clues, and wiping out the little wrinkles and so on to make the person appear younger than they really are. But the way it's taken seems to change the shape of the face quite significantly, especially a much fatter jawline. The shape of the nose simply can't be made out. The hair is also a lot different. That can change of course, and in the MDC footage he seems to have had a haircut and lost the fringe. But before and after that, he goes in for that not-too-thick curly fringe effect, which just isn't there in the Czech photo. I have to ask, if Megrahi (as seen in the Abdusamad passport photo) were to show up at passport control with the Czech photo in his passport, would they let him through without comment? I'd be surprised, quite honestly. I hadn't realised till now what a dreadful likeness the photo Tony identified on 15th February 1991 actually was. I'd say it was close to unrecognisable. I'd go further and say that the quality is so bad it's pretty much just a generic round face and big hair. The more you drill into this, the worse it gets. Ah, alright... 5'3", He's a regular Danny DeVito. So looking 5" up compared to looking 9 + in his memory. That plays even further yet to the point I was making, however important that really is. He's not confusing looking up for for looking down, but looking up further for less. It's possible, and I'll grant that. But I don't think it goes far, considering .... all the rest. But as you say the age issue plays a similar role - that closest to the witness can be expected to be taken in with the greatest sensitivity. You couldn't tell two deer apart very well, and people are known to have a hard time with cross-racial ID. Old people misjudge the ages of the young and vice-versa. But a man himself between the buyer's age and Megrahi's is not likely to confuse considerably younger and less frumpy than himself for considerably older. That's a very good point. Bunntamas - in what way might Megrahi in 88 appear to be 50 years old or so? That's question no. 217 or so, lost count. Sorry. Happy late birthday now, Rolfe! I So far as I know, nobody mentioned what a very poor likeness it is. Actually, Gauci did mention this. signed a label for the card containing the photographs. your signature in  the corner? Do you see that? Q Is that the photograph to which you had been referring? And what you said about this photograph in this statement at the time, was that the truth? A Yes, I have signed it, too. Yes, number 8. A Of course. He didn't have such long hair, either. His hair wasn't so large. Partly it's the diabolical quality. Losing detail like that has an effect of losing age clues, and wiping out the little wrinkles and so on to make the person appear younger than they really are. Well, he showed up in court, where Tony again identified him. ...tell me if you see the man who bought the clothing in your shop in 1988 in court here today. the man I see resembles the man who came. Last edited by Bunntamas; 21st November 2010 at 11:33 AM. I told you to read the expert witness reports! Tony is said to be about 5 feet 3 inches tall, and 44 years old at the time of the clothes purchase. Megrahi is 5 inches taller than Tony, but the mystery shopper was estimated to be 9 inches taller. I may have missed where these points are noted in witenss reports. Could you please show me? Tony's testimony states "normal stature" see below. The rest seems to be a pretty accurate description of Megrahi. A He had a blue suit. Q What sort of build did he have? these things. I can't say. A He wasn't small. He was a normal stature. He had ordered a 16-and-a-half shirt. Q What age would you say he was? Last edited by Bunntamas; 21st November 2010 at 11:54 AM. Where do you get that the mystery shopper was estimated to be 9 inches taller? Hi Bunntamas, I'm trying not to be anything you could read as nasty, but I'm afraid some annoyance might shine through. Thanks for taking the time to ask a question, even if it wasn't for me. But if you don't know this point, well, I'll be happy to help out. 9 inches plus is a simple subtraction issue between Gauic's height and the buyer as he first reported him in 1989, as we've all been mentioning and asking your explanation of for pages now. Q You mentioned an estimate of height. What sort of shape was he? Q And I've given you my personal assurance we'll come to that. But let's look at the description. He was about six foot or more in height. Yes? A I always said six foot, not more than six feet. He admits he said six foot, denies the "or more," replaces it with "or less," or rather "below," apparently accepted by the esteemed judges as five foot eight. Not exactly optimal, is it? But that really is how it is. I invite you to go back and consider that primary evidence, and see if that changes anything for you. As soon as you've got anything that actually addresses any of my questions here, I'll reconsider things myself. But it looks like it's your turn first. I'll ask this one yet again to help get you thinking about this more carefully. If Mr. Gauci's 1989 police statements and his 2000 testimony come into conflict, as they do on the issue of height (for one point among several), which one, in your opinion, should we favor? Did his memory of Megrahi improve in the 11 years between? I noticed you cite his 2000 testimony where he wound up saying different things closer to or less exclusive of Megrahi. But I do hope you realize this was from Tony's 1989 police reports, describiing the buyer as he recalled him ON 23 November 1988 - not his much later testimony from when Megrahi WAS almost 50. One ofthe questions I was hoping you could address was Tony's description of a 50-year old man. When, as Rolfe points out, Tony was 44 and Megrahi was 36. You've now said about about 50 is "a pretty accurate description" of the man who was convicted, in 1988. If you don't mind my asking it again, what makes you think that? Last edited by Caustic Logic; 22nd November 2010 at 03:22 AM. Can we maybe rewind a bit here? This was Bunntamas's original post on the matter. So, to get the ball rolling, from what I've seen, you have a problem with Gauci's identification of the clothes buyer. How 'bout we start there? Pete2 replied that "a decade or more later", he'd have to refer back to what he's recalled much closer to the original event. Bunntamas reiterated her original point. As I said earlier, how do we know how well Tony did when describing the purchaser? We have no independent corroboration of what the purchaser looked like. Without that, we simply have to take what Tony said at face value, and infer that it might well be right because we have independent corroboration that suggests he remembered the items sold to a good standard of accuracy. So I tend to agree with Bunntamas, that Tony probably did surprisingly well when he was asked to describe the purchaser, nine months after the event. Given that we agree about that, Bunntamas, how do you deal with the problem that Tony's detailed description of the purchaser given at that time, bears very little resemblance to Megrahi at all? I'm not so sure we/you do have an agreement with her on that. I asked for one to be sure we're all on the same page regarding the evaluation of eyewitness testimony. One would presume so, but I think in the current context it's helpful to be sure on basics like that. Maybe I missed an earlier affirmation, and if so apologies for asking again, twice now. Here's what Tony actually said in court about his recollection of the sale he made in 1988. Q And when you were interviewed by the police on these occasions, was your memory of the sale to the Libyan better than it is now? A [Tony Gauci] Yes, of course. That is 12 years--11 years after. I mean, 11 years are a long time for me, but in those days I told them everything exactly, didn't I? And indeed that seems very reasonable. Eleven years is a long time, but back then, only nine months after the event, "I told them everything exactly, didn't I?" So Tony himself agrees that his statements given in late 1989 are much clearer than his recollection in 2000. It seems only reasonable and entirely in line with common sense that we should examine his recollections given in police statements at that time - when his memory was relatively fresh (certainly compared to 11 years later), and he hadn't been subject to the confusion of repeated questioning and having dozens of photographs shown to him. Are we agreed on this?